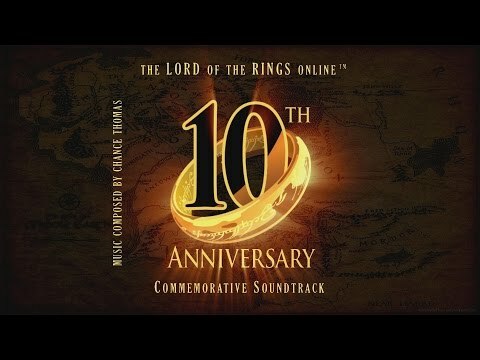 On June 23rd, HUGEsound Records released ‘THE LORD OF THE RINGS ONLINE’ 10th Anniversary Commemorative original video-game soundtrack, through all major digital music outlets worldwide [purchase here]. This double album features the game’s original score by Chance Thomas; an avid lifelong fan of The Lord of the Rings. Chance Thomas began writing music for The Lord of the Rings well before Howard Shore tackled the soundtrack for Jackson’s trilogy. 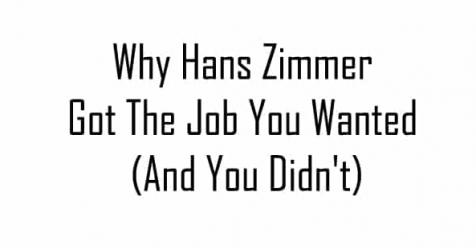 He has already contributed to 9 games and expansions spanning a 20-year period, and just started work on a 10th expansion. All of this music – orchestral, choral, and acoustic ensemble music – is completely original and is all based on personal research conducted into the literature by Chance Thomas himself. He collected these references, sorted through them, organized and then distilled all of his research into a 26-page document which he called ‘The Tolkien Music Style Guide.’ For each of the 5 key races in Middle-earth, his Style Guide lists specific instrumental palettes, vocal ranges, stylistic guidelines, even home keys – all based on references and inferences drawn directly from the text. I had the opportunity to listen to this fantastic collection of music by Chance Thomas, and it is as familiar as it is unique. It explores many aspects of ancient instrumentation to give the listener a real sense of the past, and a feeling of another world. Pieces like ‘Moria,’ ‘Drums in the Deep,’ ‘Khazad Dum’ and ‘The Eored’ use choral elements to great effect. The male choir fittingly provides dread, and the percussion and brass add a frantic panic and urgency to the pieces. Strings and woodwind soar in an effortless and beautiful fashion in pieces such as ‘Ages of the Golden Wood’ and ‘Rivendell,’ and Thomas’ use of a female choir to support their angelic sound is a welcome touch. Included as well is real-world sounds, such as the wind blowing through the trees, and the sound of bird songs, which really gives a calming atmosphere to those particular moments in the score. ‘Learning to Ride,’ ‘Horse Lords of Norcrofts’ and ‘Urgent Errands’ all have great drive to them, transporting the listener on a journey. One can imagine themselves on horseback, galloping across vast empty plains to someone’s aid. As one can expect though, not every piece is either action orientated or calming in nature. Some pieces add a quiet, uneasy feeling to the album, and emotional undertones shine through also. Pieces such as ‘Tears of Nimrodel’ and ‘The Hollin Gate’ walk the line of emotional and unsettling. The harp, matched with the flowing strings and woodwind, really brings that impression out well. The lighthearted pieces are fun as well. ‘The House of Tom Bombadil’ and ‘Hills of the Shire’ brings in a nicely melodic and familiar sound we all know and love. The gorgeous strings and whistles, paired with acoustic guitar are reminiscent of Howard Shore’s own take on the Hobbits and the Shire in general. It really feels like home to listen to. Other moments that bring up the memory of Howard Shore’s music for Middle Earth, are present in ‘Boromir’s Last Stand,’ and ‘Orc Hunt’ which makes one think of Shore’s iconic choir used for the Ringswraiths, and the overall building orchestral power of inevitable doom. One of the albums final strengths is its power and majesty. There are many moments where you can feel the huge scope of Middle Earth. Thomas’ clever orchestration definitely convinces you of the importance of the events ahead, and the sheer scale of the conflict between good and evil. Pieces like ‘Shadow of the Argonath’ and ‘Heart of a Hero’ display this very well, and the addition of bagpipes make it feel ancient with their raw sound. Overall, this album is full of interesting pieces that reflect the diverse landscapes and peoples of Tolkien’s incredible world. It gives the listener many different styles to sink their teeth into, and has a nice mixture of them too, to give the album a good pace and provide a fun way to spend an hour in Middle Earth.